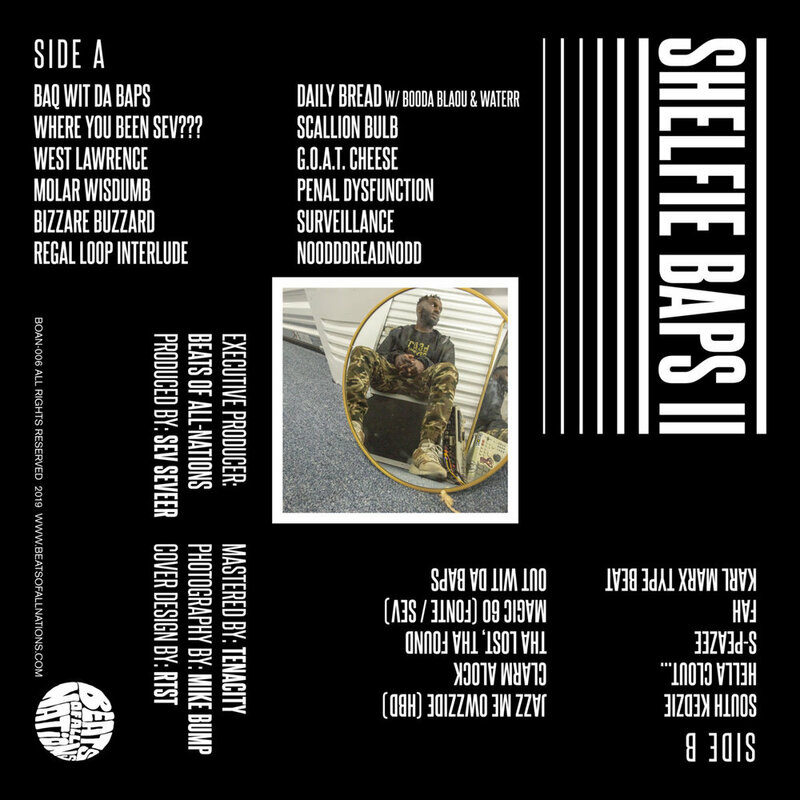 While he is generally known for his academic approach to thoughtful, experimental projects, Shelfie Baps IIis a hard hitting compilation made mostly of battle beats and shelved instrumentals for rap projects. The Shelfie Baps series consists of unreleased and rarely heard instrumentals made over longer spans of time. Shelfie Baps II is Sev Seveer’s second 12″ LP and his third official release, all available on Beats of All-Nations. With launch of this pre-order supporters will receive “Daily Bread (w/ Booda Blaou & Waterr)”, the first single “Fah,” accompanied by a music video composed entirely in Snapchat and the first installment of the self-released, Shelfie Baps (2016). PRE-ORDER VINYL!